Below you'll find a few answers to frequently asked questions. If you have any inquiry outside of what's listed here, please feel free to email me and I will do my best to respond within 1 - 2 business days. I try my best to represent the colours an texture in my work as accurately and honestly as possible. Screens tend to display colours differently so if you need additional photos before purchasing, please send me an email. Every piece is original and one of a kind, signed in front or on the back. 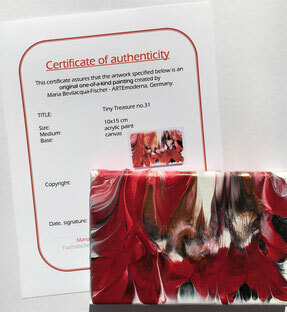 I include a dated and signed Certificate of Authenticity to every work. 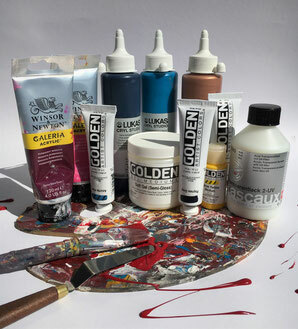 I use high pigmented professional acrylic paint of different brands (Golden, Lukas, Winsor&Newton...) to guarantee a long lasting quality and brilliance of the artwork. I use finest LASCAUX "Acrylic Transparent Varnish with UV-filter" either in matt, semi glossy or glossy - depending on the artwork. 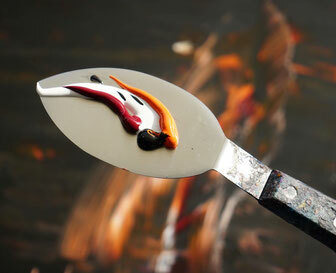 If you have any preferences regarding varnishing - please let me know. 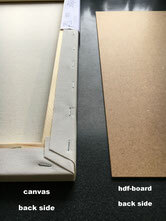 Difference between Canvas and HDF-Fiberboard? Canvases are stretched on wood-bars and ready to hang. HDF-Fiberboards need framing. More information about fiber boards below. What is a HDF-fiberboard ? 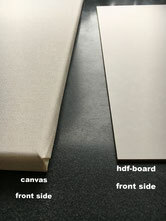 HDF-fiberboards (high density fibers) are made from fine wood fibres. 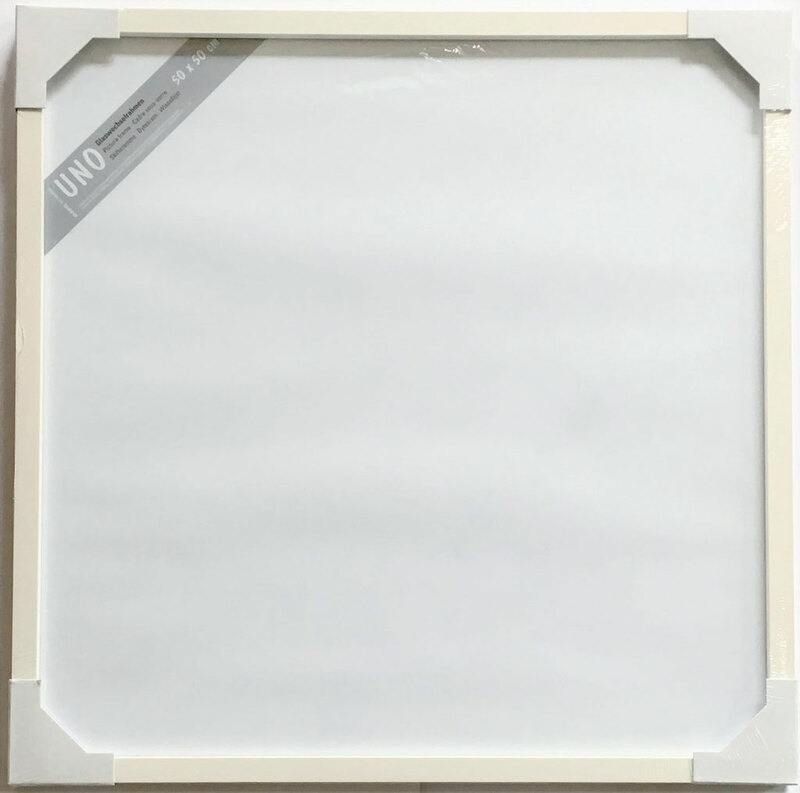 The boards have a particular dense, smooth and white primed surface. Due to the flatness and excellent painting possibilities I love to use these boards, which then can easily be framed either with or without a mat for a contemporary look. Ready framed or to frame by customer? 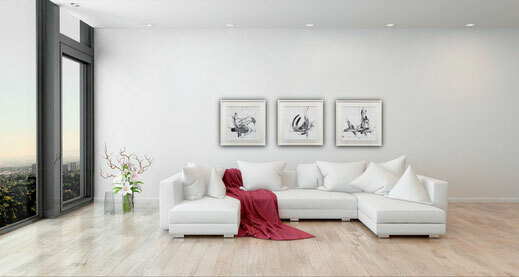 Paintings on hdf-fiberboard need in any case a framing - so I OFFER THEM READY FRAMED. 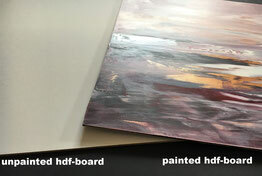 In case you would like to frame the hdf-board yourself - please ask my for reduced prices without framing. What frames do I use? 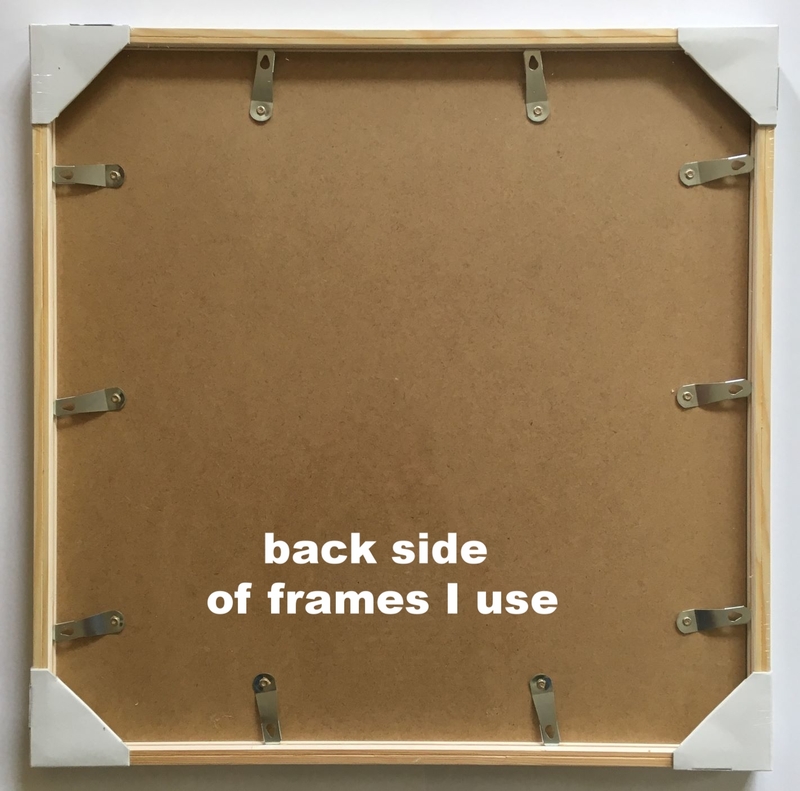 I use either white or black wooden frames from a local German producer. The frames have a modern and timeless design. The front bay length of wood is 1,7 cm (0,67 inch) and the depth of frame is 2,5 cm (0,98 inch). I usually use the frames without glass in front - to give the painting a contemporary look. But of course if you prefer it with glass - it is included. 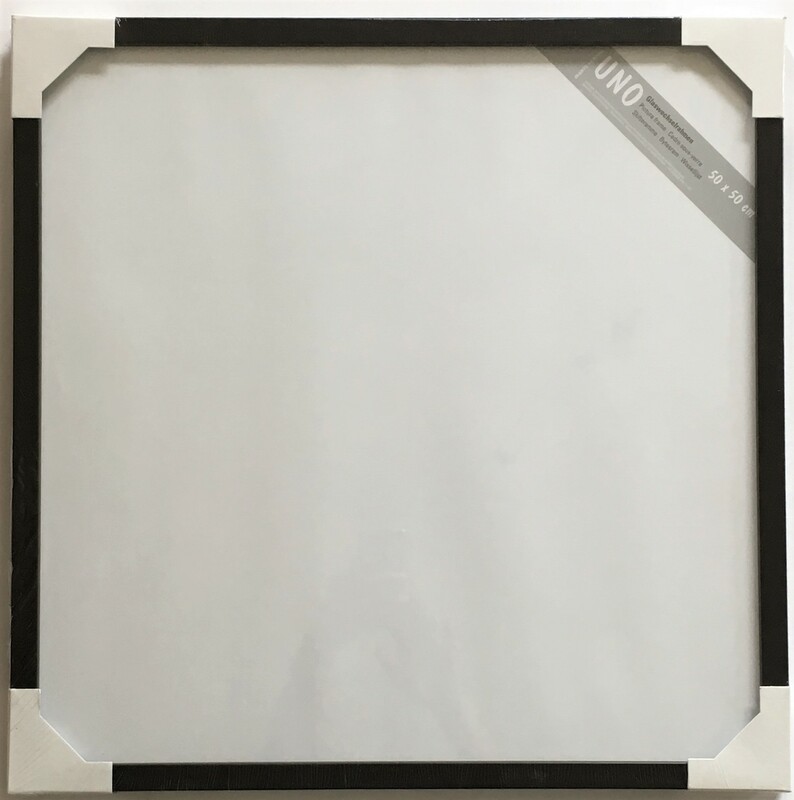 What mat do I use for ready framed works? 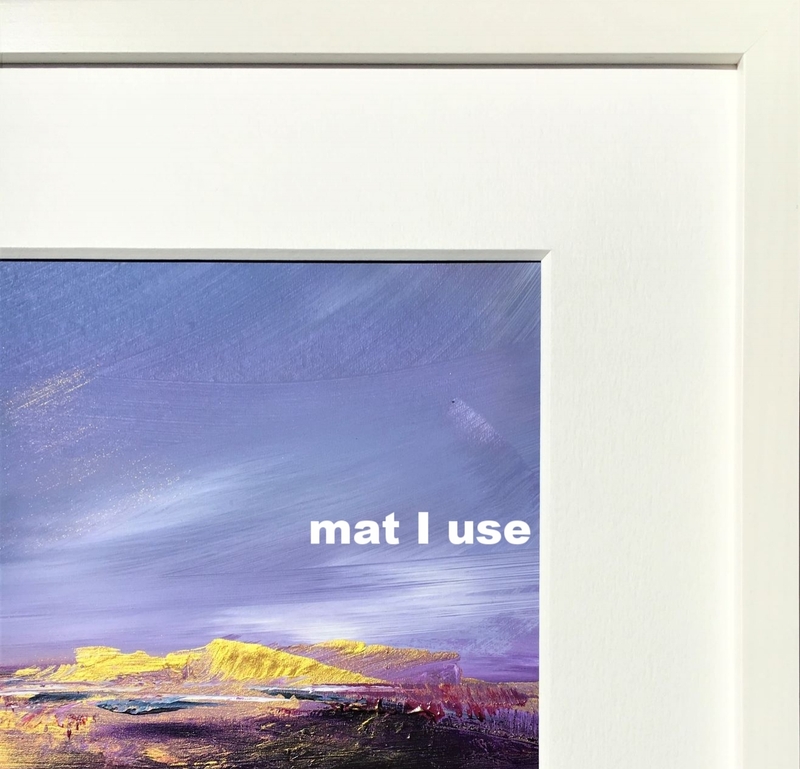 I use custom-made professional mats (natural white or black) with deep edges to enhance the expressiveness of the painting. I'm happy to create individual artwork for customers and corporations based on the specific needs. Please note, that I don’t recreate existing pieces. But I can work ‘in the style of’ existing paintings from my current collection and within a color scheme preferred by customer, but each commissioned painting will be a totally unique piece. Creation time: usually a commissioned painting takes 4 - 6 weeks to be created depending on size and technique. If you'd like to commission a painting, please don't hesitate to contact me via e-Mail and we can fix an appointment to discuss more details personally or on the phone/via skype. Please contact me if you are interested in representing, licensing or purchasing my work.